Just wanted to share this pic with you. 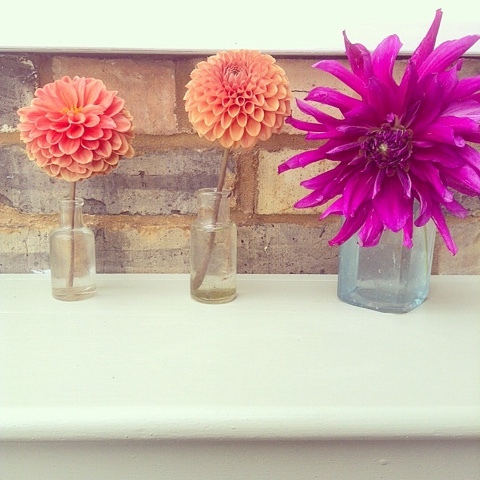 I'd never planted dahlia's before and this year I went crazy for them! I bought about 9 tubers in the spring and started them in tubs before planting them out at the beginning of June. I'm thrilled to bits with them! I snipped these three off as there are lots more buds coming and want the plant's to concentrate their energies into creating even more. Anyhoo I'd planned to spend the day in the garden with the children so let's hope it brightens up.